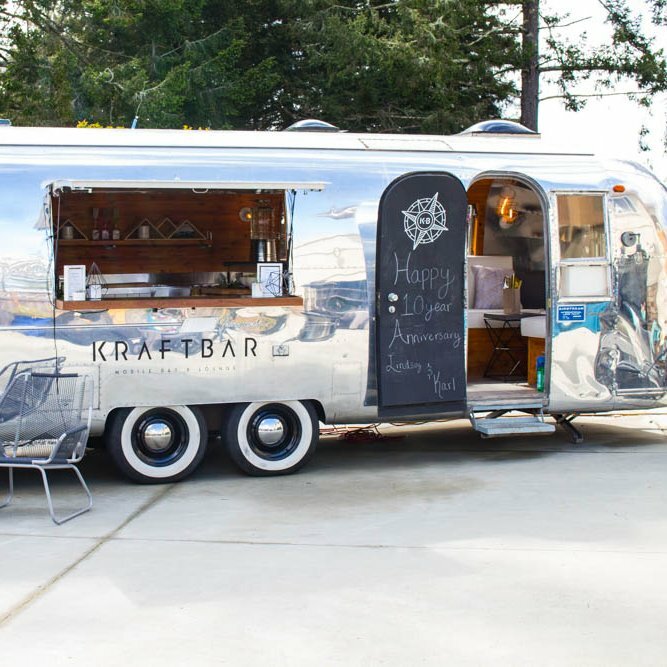 Kraft Bar – Mobile bar and lounge experience. Kraftbar can travel to you! From backyard parties to large weddings or music festivals! KraftBar is a unique, mobile bar and lounge experience. 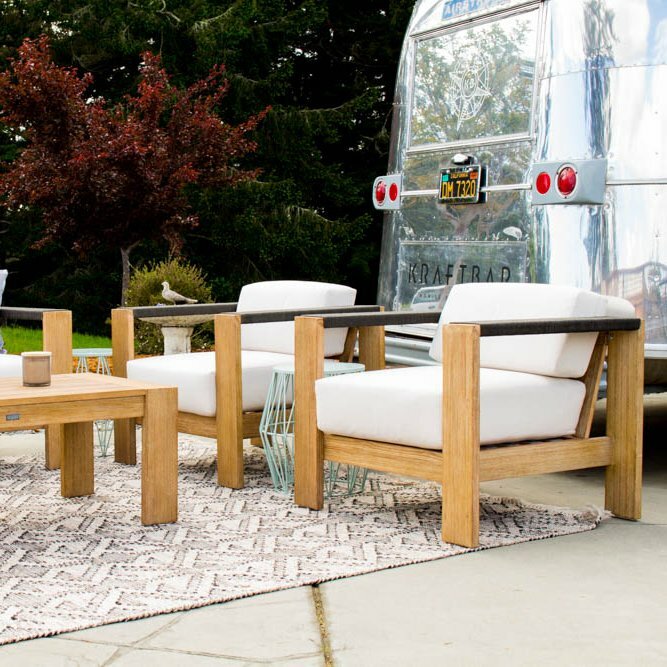 Our renovated 1965 Airstream mobile bar and lounge offers a stylish alternative to the traditional catered bar. Boasting a versatile configuration, KraftBar can be used to accommodate small and large events of any kind. 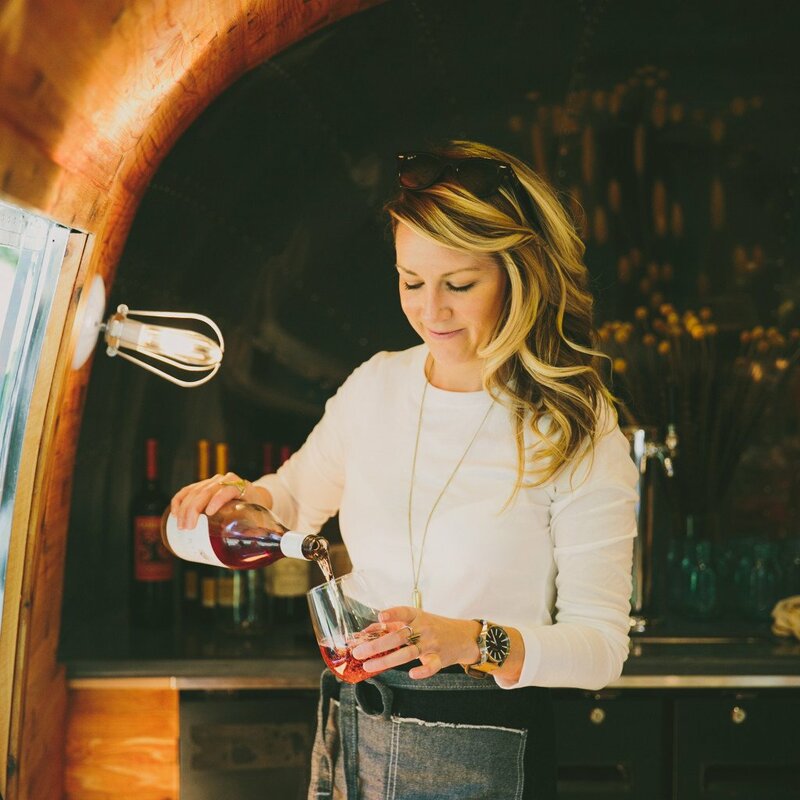 Our specialties include event programming and staffing, fun and friendly bar service and of course handcrafted cocktails made with organic seasonal ingredients, along with top local beer and wine labels. KraftBar is owned and operated by Santa Cruz, California based, Breana and Toby White. Both Breana and Toby have spent a combined two decades in the hospitality and events industries. The idea for KraftBar was born when the two were planning their wedding. They realized they couldn’t find the exact experience they wanted for their guests and decided there was an opportunity to build something of their own. KraftBar is their first love child. Our Airstream trailer is 28’ long, so placement of the trailer will need to have ample room for it to be towed into place. We would like to accommodate all venue options, but some locations may be limited due to accessibility. We will need to have a flat location for placement. We recommend no more than a 5% pitch in grade. KraftBar can travel throughout the state of California, We bill for travel time only after 25 miles from Santa Cruz. We can handle being off grid, but we prefer to have access to water and electricity. A standard 120 volt outlet with 20 amp service would be recommended. We can also offer a 2000 watt generator if we are off grid. KraftBar is a high end, full service, mobile bar that can accommodate many types of events including weddings, birthdays, photo shoots, sponsored events, festivals, or anything else you can dream up!